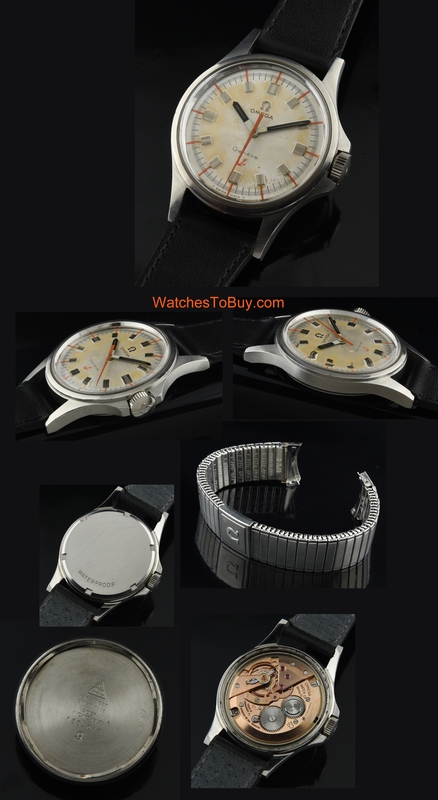 This is an uncommon OMEGA known as the “Admiralty” measuring a respectable 36mm. and having a diver’s crown guard. This example has the original handset and dial with patina. 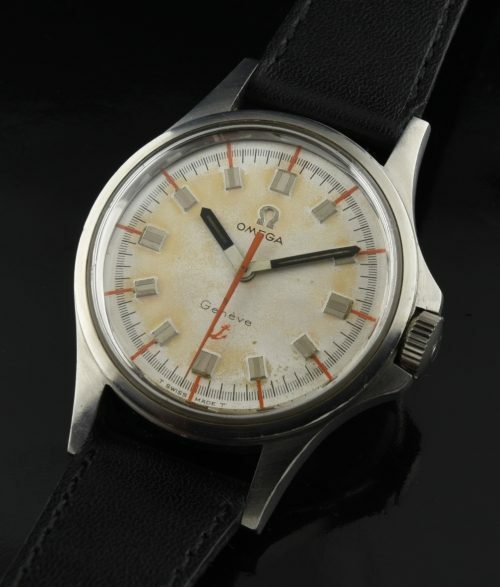 We seldom find these watches, making them one of the more coveted OMEGA dive watches. I enjoy the bright orange second hand and hash markers, along with the contrasting original baton hands. The OMEGA winding crown is original. This watch comes with the correct steel OMEGA stretch bracelet as well. The manual winding caliber 601 OMEGA movement was recently cleaned and keeping accurate time. I highly advise adding this OMEGA to your collection.